And for the rest, if you think this giveaway is awesome, think again! There’s another even better surprise in stall, I’m so excited but that’s all I can say for now. 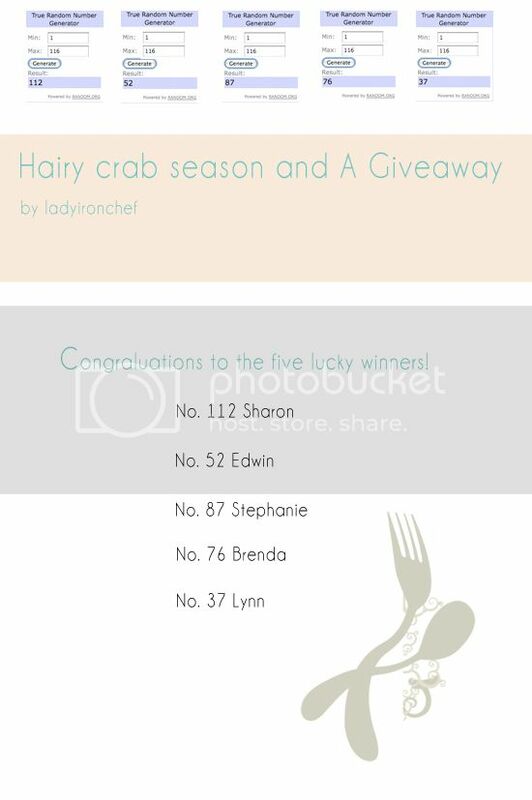 And now the obligatory closing speech: I’ll like to thank Food Junction for giving away the five sets of hairy crabs, and to everyone who participated in the giveaway. Wow you realy have that many comments to that post huh. Too bad I didn’t win but it was fun joining!